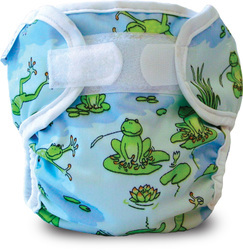 The "workhorse" of diaper covers. Durable and versatile and in great looking prints! 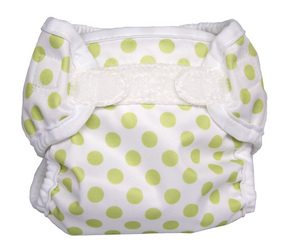 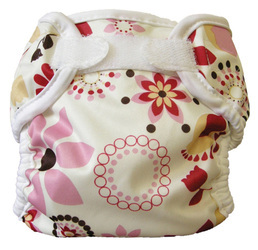 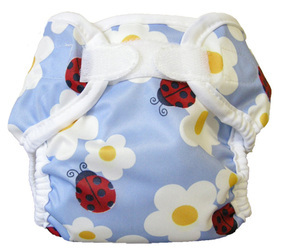 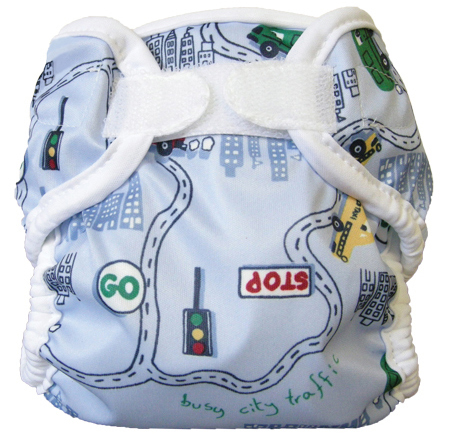 The Super Whisper Wrap is a VERY dependable cloth diaper cover with a proven track record. 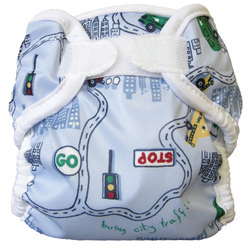 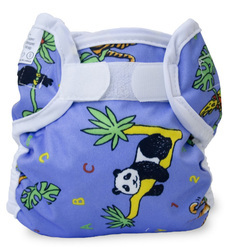 A mainstay in any 2 part cloth diapering system, it combines extreme functionality and the latest in cloth diapering technology with fun and colourful prints. And this premium but affordable cloth diapering product not only looks marvellous, but also has a remarkably good fit on most babies. It features a durable waterproof layer concealed within 2 layers of ultra soft polyester fabric so that no laminate touches your baby’s skin. Although this marvellous fabric is waterproof and will stand up to the rigors of industrial washing, it is comfortable for baby - and much more breathable than plastic or vinyl. 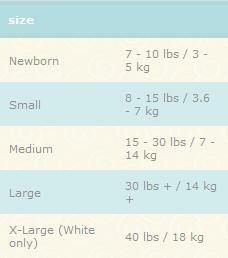 Wash and dry at normal temperatures in washer and dryer. Please avoid fabric softeners, chlorine bleach, or any other whitening agents. Be sure to wash and rinse with enough hot water in order to eliminate detergent residue and wash your cloth diapers clean. 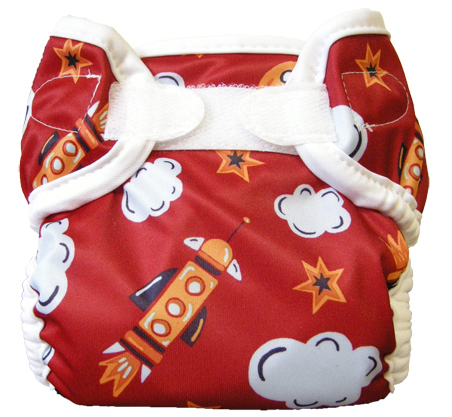 Your Super Whisper Wrap should not retain odours, and if it does, please check out our washing information or call us for help! Available in white and fun prints. 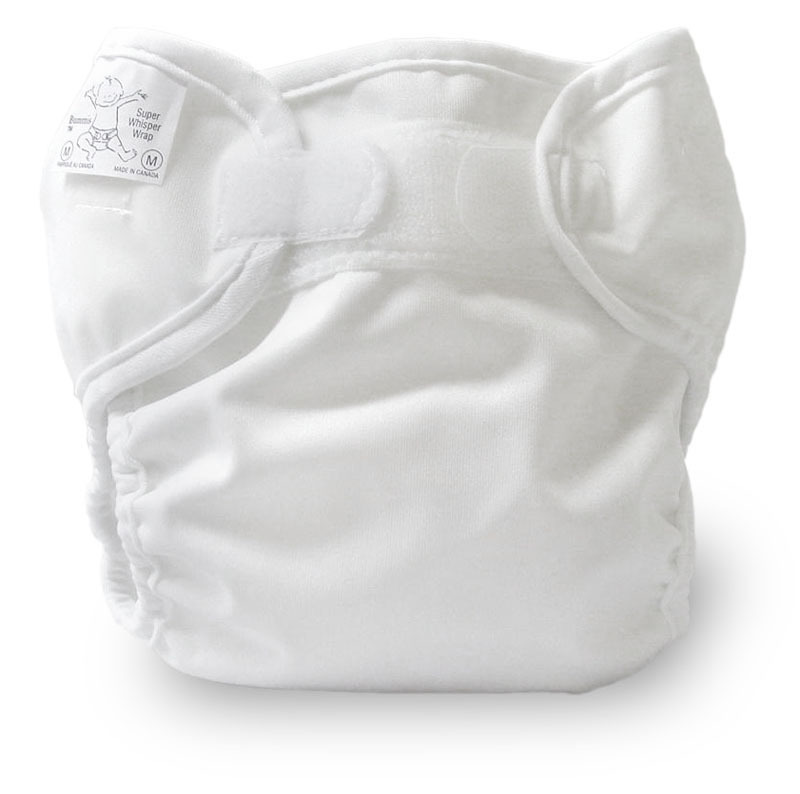 Of course, as is true of all our cloth diaper covers, the Super Whisper Wrap is made with careful attention to detail in our own wonderful factory in Montreal, so that we are assured of good quality and fair labour practices. 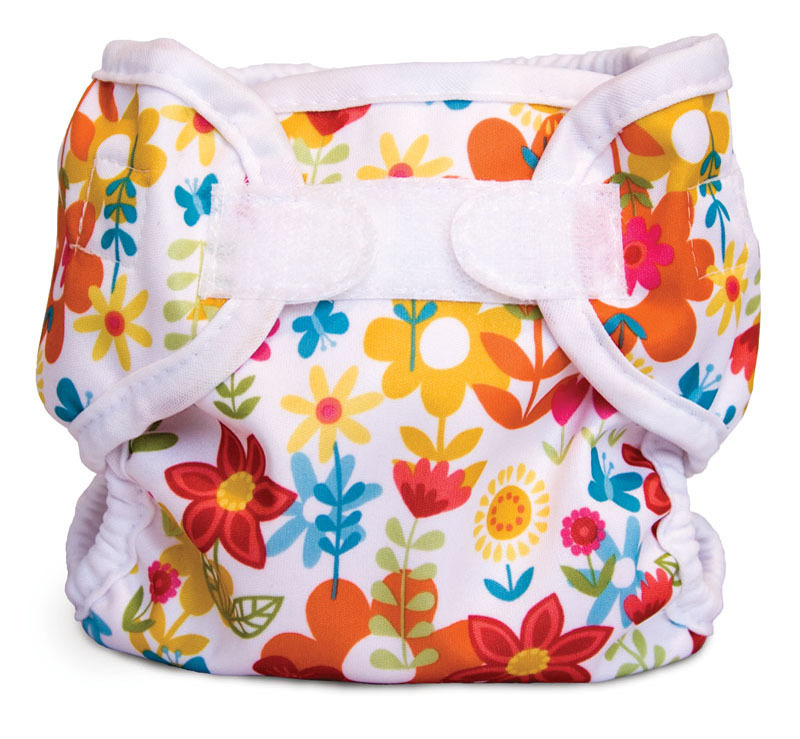 The fabrics and components we produce with are all sourced in North America and are guaranteed lead, phthalate and BPA free.